On October 22nd, 2016, some of the country’s best, most influential, and up-and-coming authors for young readers will gather at South Houston High School for a completely FREE event called Tweens Read. 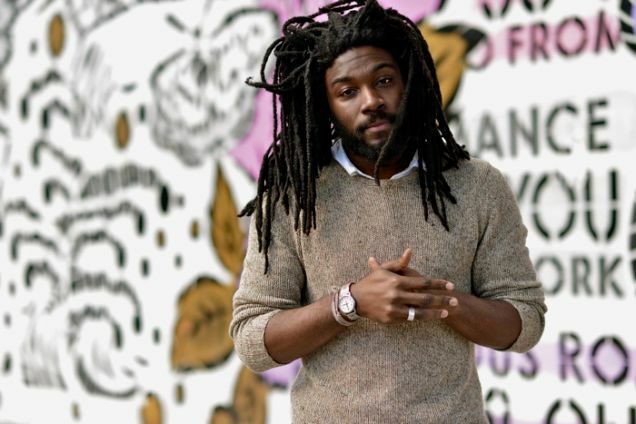 The event will open with a keynote speech by Jason Reynolds. He is, quite simply, one of the most important living American writers. When I Was the Greatest was the recipient of the Coretta Scott King/John Steptoe Award for New Talent; the Coretta Scott King Honor books. Boy in the Black Suit and All American Boys (cowritten with Brendan Kiely) also the winner of the Walter Dean Myers Award. As Brave As You (his middle grade debut) has been nominated for the Kirkus Award. Ghost (another middle grade title released in August 2016), has been nominated for the National Book Award. He uses fluid and hop to his writing that attracts traditional and reluctant readers of every class, race, and age. He uses simple words in unexpected ways that dance on the page. There is deep humor, deep compassion, and deep reality to his writing style that everyone can relate to. He is authentic and warm and his dynamic aura and charisma make him an enthralling presenter. Jason opens the event and then will be participating in several guest panels (which I will be featuring in upcoming posts). Perhaps the biggest highlight of the day is the opportunity for attendees to meet each and every one of the authors. After the closing session, authors will be seated at individual tables. Attendees can purchase books on site to have them signed by the authors. If you don’t have a book, no problem! You can still say “Hi” and maybe even get your picture taken with Jason (and the other authors). The goal of the Tweens Read Book Festival is to celebrate and promote reading by connecting tweens with authors. The target audience for the event is students in grades 5-8. * Connect tween readers to local and national authors and illustrators. * Encourage interaction between aspiring tween writers and established authors. * Educate, enrich, inform, and entertain local tweens and other participants. * Celebrate the educational and recreational benefits of tween reading and writing. * Ignite a passion for reading and writing in the tween community. Previous AAAHHHH!!! Miss Peregrine gifs are Here, and They are Horribly Fantastic.